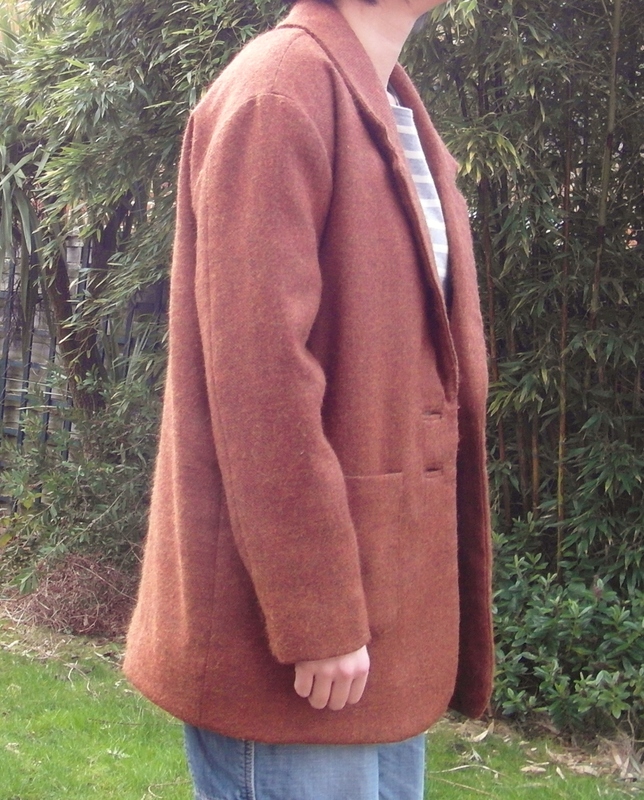 After almost a month of toiling away I have a coat. 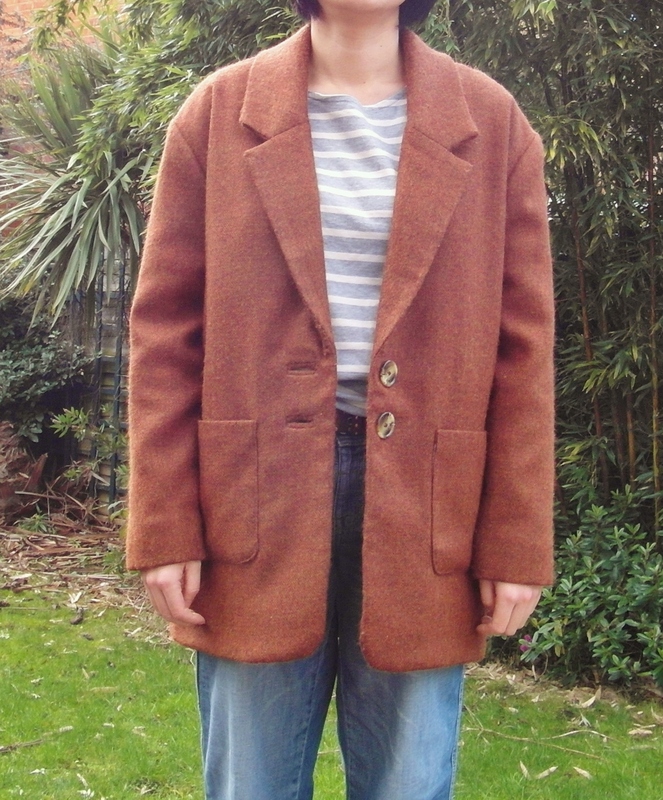 Yes, that’s right, my first ever handmade coat. It’s a notched collar, interlined, bound buttonhole beauty and I absolutely love it. 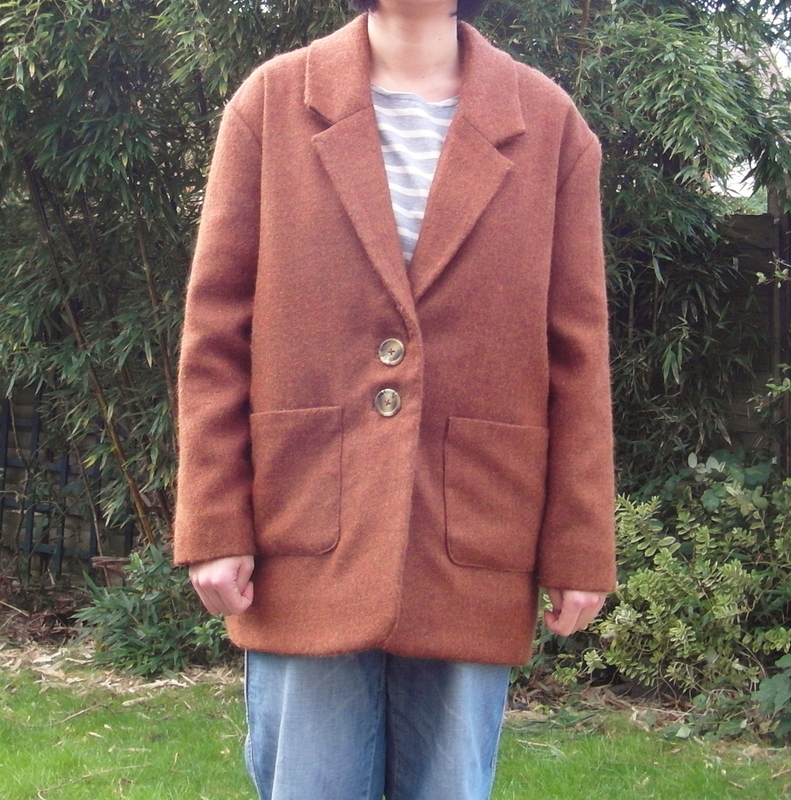 Warning, this is a wordy, picture heavy post but there’s a lot to say about making a coat! 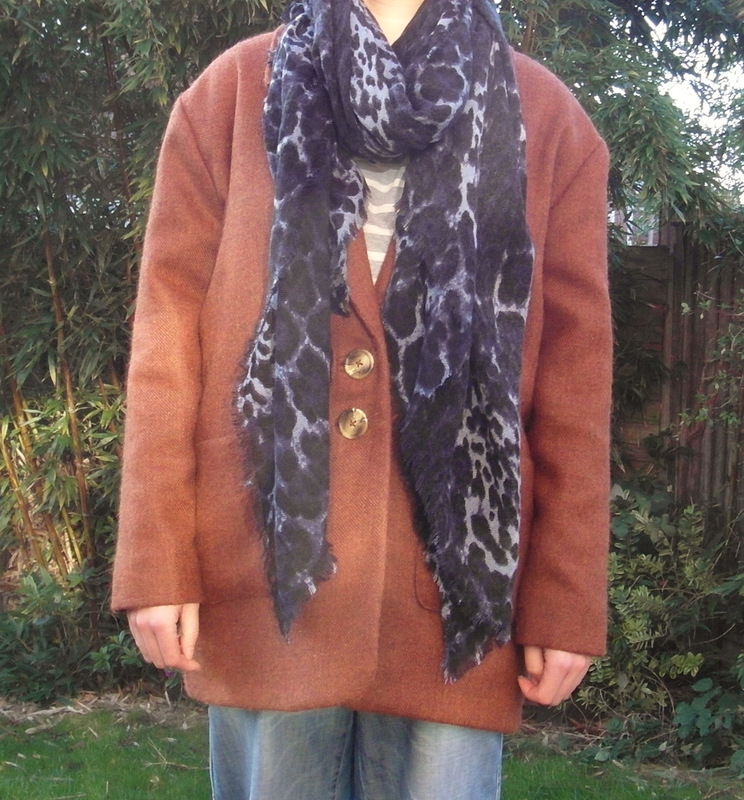 I had earmarked Gerard from Republique du Chiffon as the pattern for my first coat project. The boyfriend style with dropped shoulders is perfect for someone new to coat making – a forgiving fit and no complex shoulder tailoring. I also had this rust wool in my stash ready to go. It’s got all the colours of autumn in it. 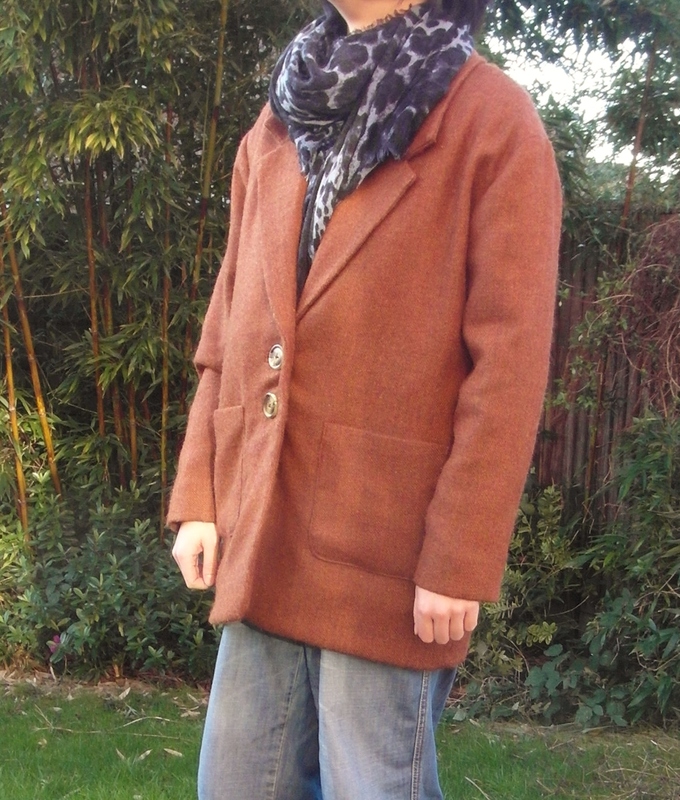 Sewing a coat was one of my sewing goals for 2014 so I got there in the end, albeit a month late. I began sewing like a dervish after seeing Sonja’s luscious fuchsia Gerard in late December, so I have her to thank for having a new coat this winter. I toiled the pattern out of an old sheet to check the fit. I knew the coat was a relaxed fit and wanted to avoid the ‘picked up someone else’s coat’ look. To cut corners I left out the collar and just sewed up the body and one sleeve. I normally fit size 10-12 and the medium was perfect. Although Gerard is a great pattern for an intermediate sewer, you have to psych yourself up for it as it’s a marathon sewing project. The pattern comes as a pdf download with no seam allowances. 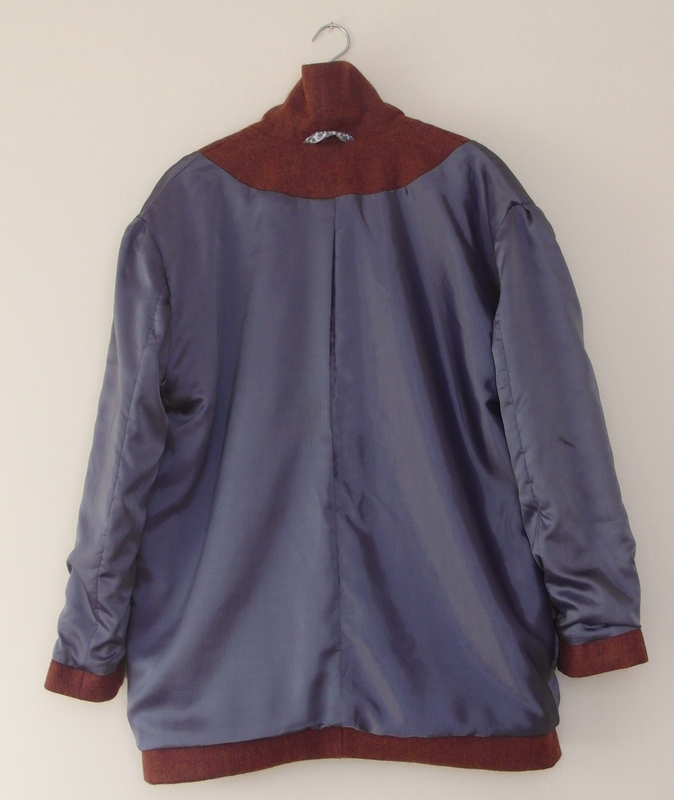 Although the coat is a fairly simple design, there are 18 pattern pieces – fashion fabric, lining and interfacing. The pattern making stage took me about two days. The instructions, despite being translated into English, are basic. There are more detailed instructions in French but my boyfriend’s translation skills didn’t stretch to sewing vocab. I confess I hardly referred to them, using books and on-line resources instead. I pre-shrank my wool in a tumble dryer with a wet towel using this method from Off the Cuff. After that I cut out my fabric and ironed on the interfacing which was a mammoth job due to the number of pieces. There’s a lot of prep which needs to be done before you even start sewing. Once I got going, I found some pattern pieces didn’t quite match up and had to be eased in. The pattern is hand drafted and not digitised so there might be a few errors, as my piecing together and tracing were pretty accurate. However it’s nothing major and the pattern does come together. I wanted to interline the coat as I’m always cold. I did a bit of research into suitable interlining fabric and used domette bought from McCulloch and Wallis. I was advised by the shop assistant to interline the coat, but I read it’s better to add the interlining to the lining if it’s a loose fit style, so that’s what I did. I only lined the body, as I didn’t want the coat to be too bulky and the finished coat hangs nicely. 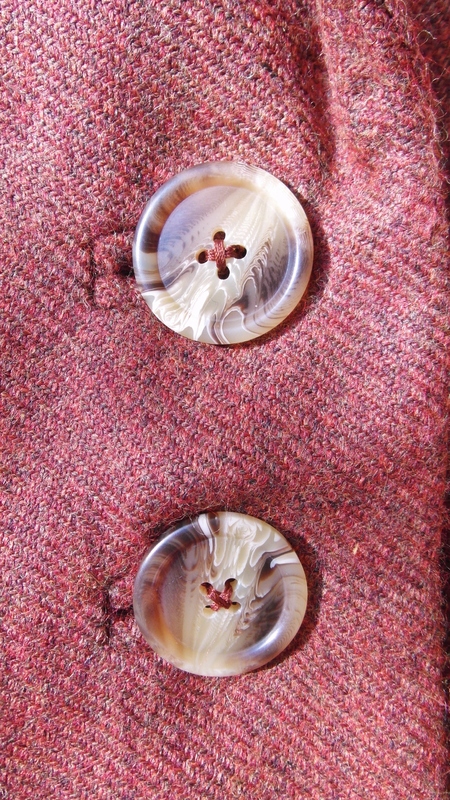 I had considered machine-made button holes but my poor machine could not cope with the wool. So bound button holes it was. 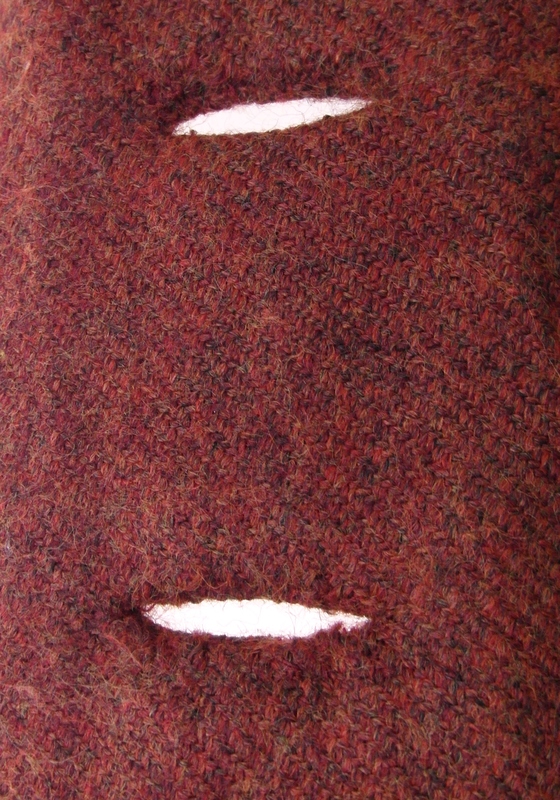 Placing the button holes and the patch pockets was a faff as there aren’t any markings provided on the pattern. I ended up sewing them towards the end to make sure they were in the right place. Normally you’d add them at the beginning when there aren’t any facings to get in the way. 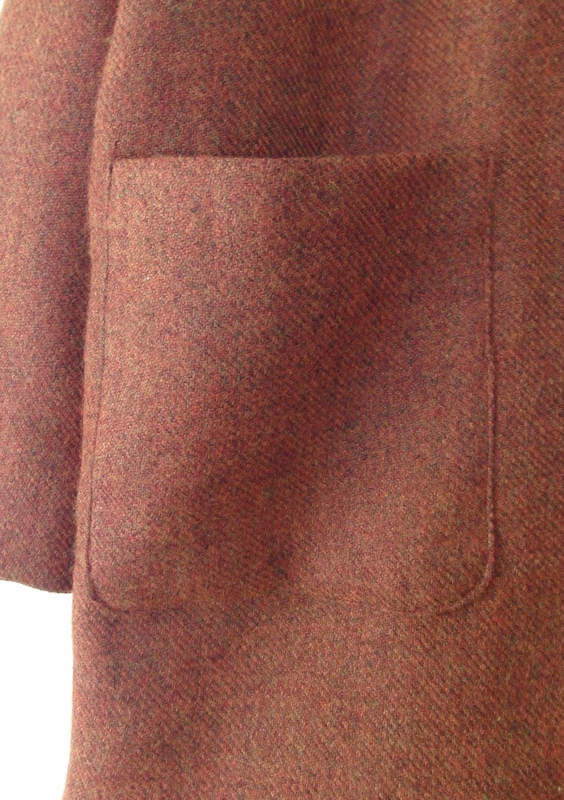 My pockets are placed 11 cms up from the hem and 9.5 cms from the front opening if that’s of any help to anyone. I left out the seam allowances on the pockets as I wanted them to be smaller. 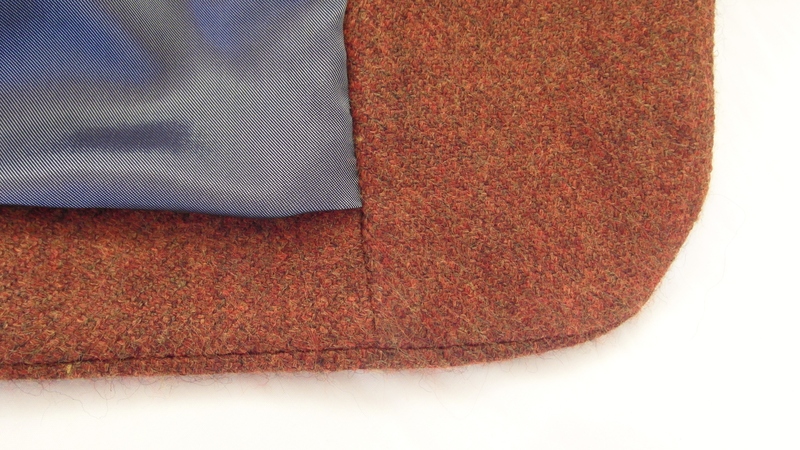 I added some interfacing to the top of the pockets and to the wrong side of the front of the coat to stabilise that area. To get the lapel to sit nicely I added twill tape along the roll line and pad stitched the facing to add structure. The iron-on interfacing was coming away from the wool so this secured it. 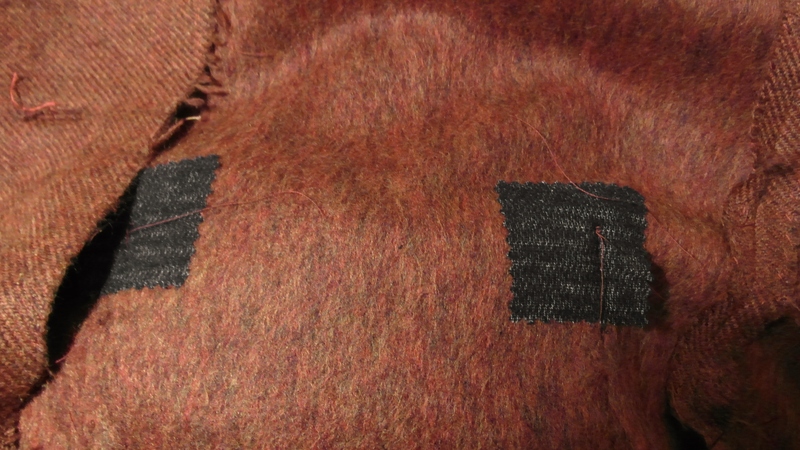 I made some prick stitches on the back of the lapel, to prevent the fabric from rolling to the front and added some twill tape on the shoulder seams to strengthen them, a tip I picked up here from Bedlam + bird. 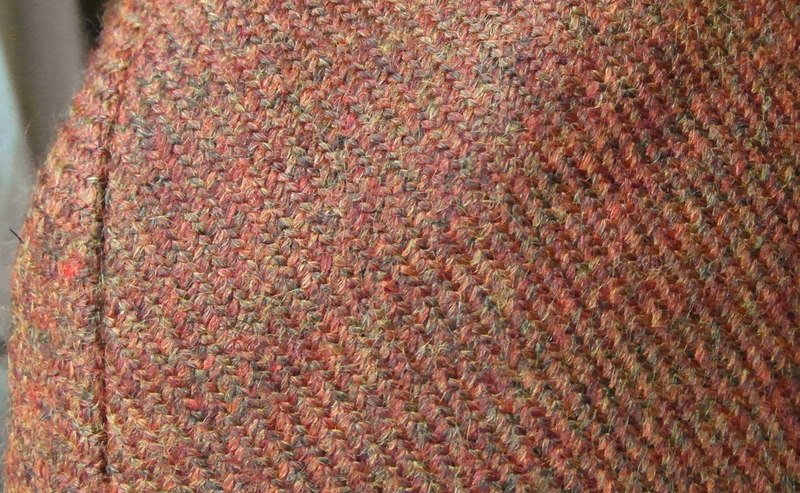 I whip stitched all my seam allowances, as the wool kept fraying the more I worked with it. I wished I’d overlocked before sewing as this would have saved some time. However I did remember to do this for my lining. I catch stitched my back seam allowances to the back but it produced an unsightly bump along the seam, so I unpicked this. 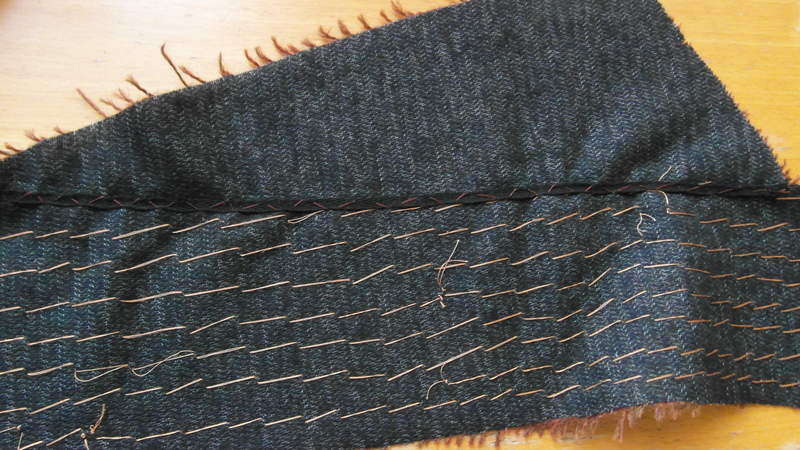 To help the cuff and hems fold up, I made anchoring stitches along the seam allowances. Making the coat wasn’t without mishap. I practised my bound buttonholes as this technique was new to me. However, when it came to cutting the slit for the buttonhole, I was a bit trigger happy and cut beyond my tailor tacks by about half a centimetre. I fixed it with a bit of darning. Luckily the thread is a good match and it’s hidden by the button when the coat is fastened. My other accident was burning my lining. 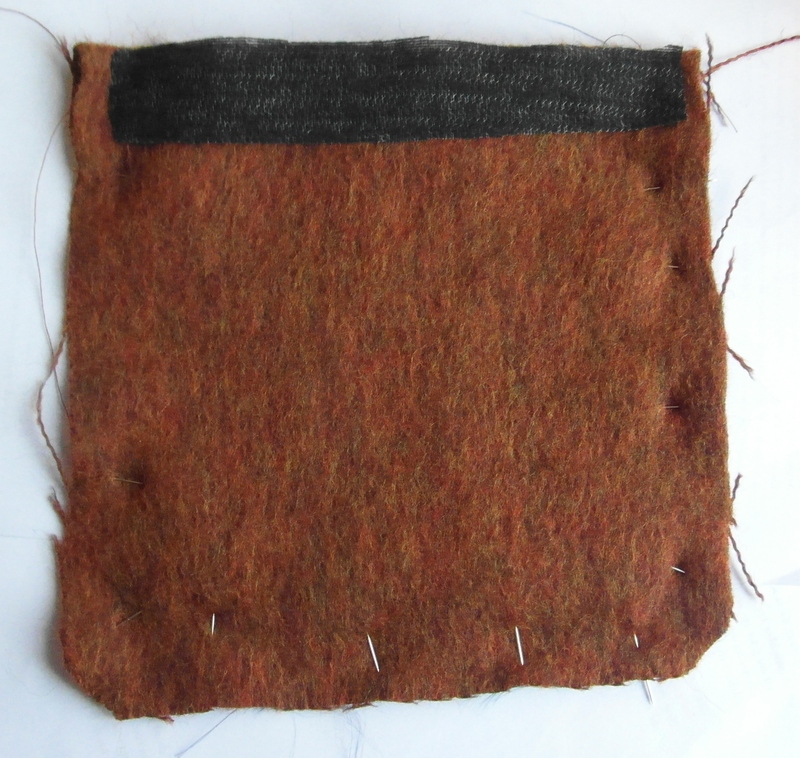 Fortunately I hadn’t sewed it in and I had some extra lining to replace the burnt section. The trickiest head-scratching part was the collar. 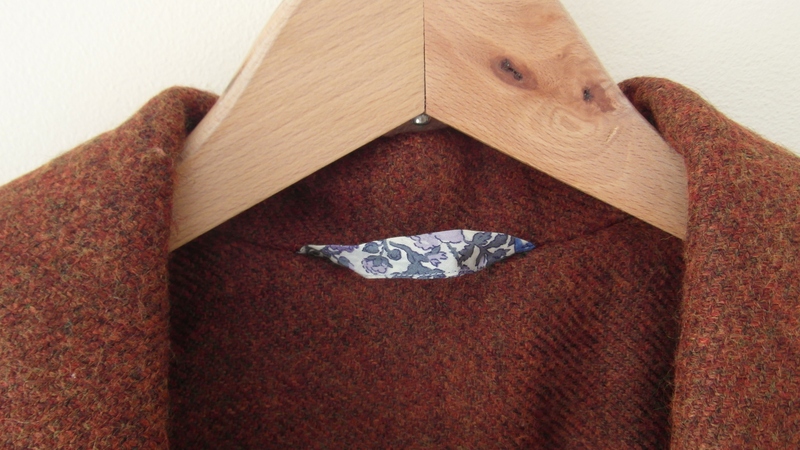 I’d never sewn a notched collar before and the video mentioned on Ginger’s blog is invaluable. The resources I used are listed below. 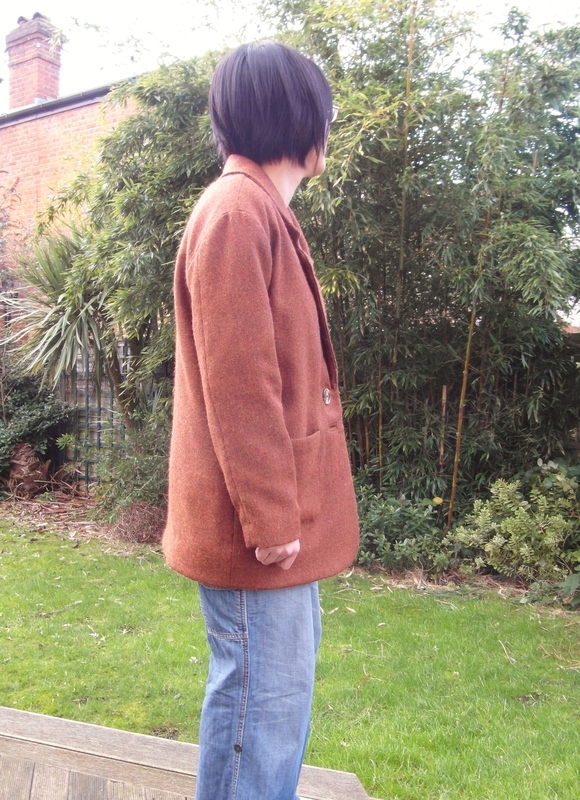 Michelle Blazer tutorial – in French but lots of photos on jacket construction. Very useful for sewing lining at hem and front facing – see photo below. To achieve a good finish when it came to the final pressing, I used the closest object I could find to a clapper – an untreated wooden chopping board. It did a good job of absorbing the excess moisture and my lapels are nice and flat. I also used a tailors ham, my favourite new sewing tool. The wool was a joy to work with and behaved when pressed. It’s been an enjoyable journey and I loved making my Gerard coat so much I was almost sad to see it over. I learnt lots of new techniques including notched collars, patch pockets, edge stitching, bound buttonholes, tailoring and interlining. I sewed slower as I had to research unfamiliar techniques along the way and found I enjoyed the process of sewing even more. There was a lot of hand stitching too which I like to zen out to. Maybe I should challenge myself to sew patterns that involve learning new skills more often. 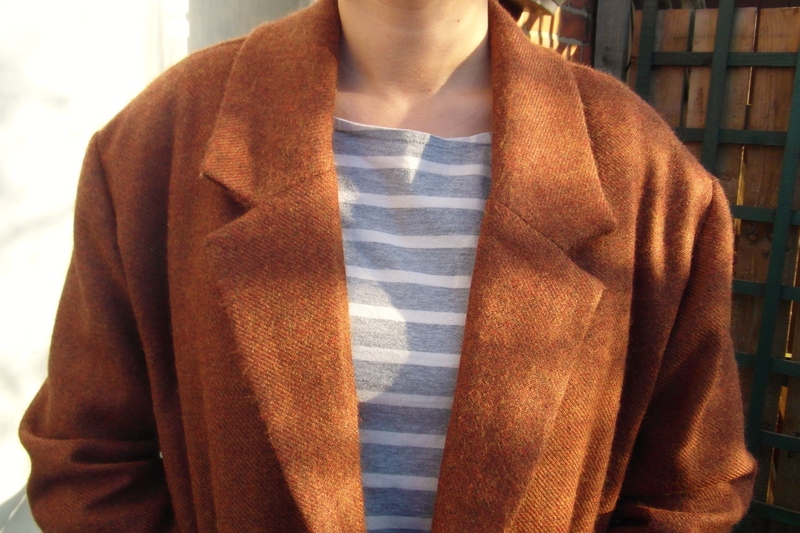 Making a coat is a great investment as you are likely to get a lot of wear out of it. It’s also addictive as you get a buzz from having accomplished a sewing milestone. I was thinking about more coat making in the middle of making my Gerard. I love the new Cascade duffle coat from Grainline, it’s so cute. Maybe something for autumn…. 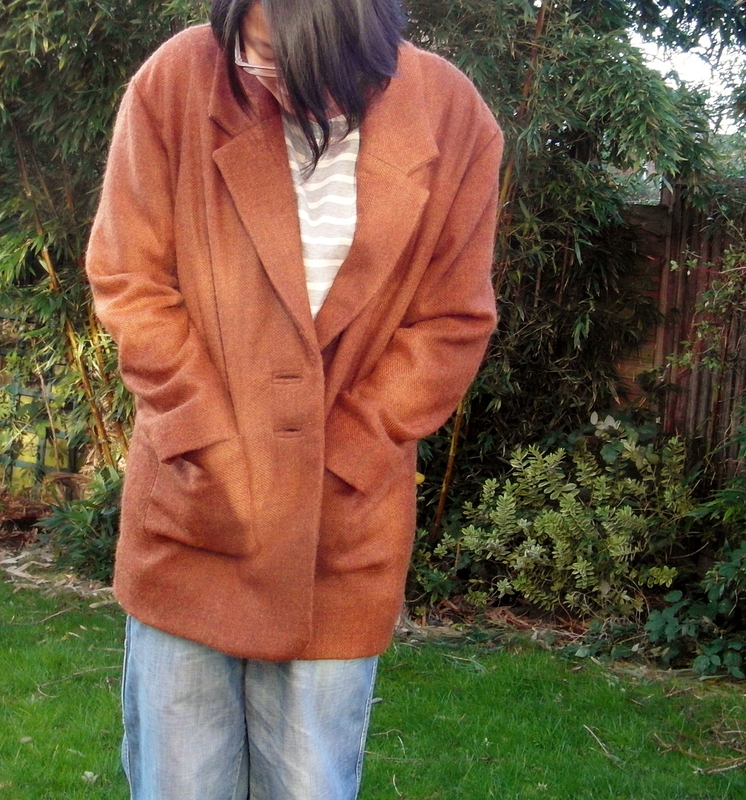 I’m so happy with my new coat and wore it to the park at the weekend. The weather was particularly cold and the padded lining felt luxurious as well as snug. The coat fits really well and is comfy to wear. It also matches my new scarf. Anyone coat sewing at the moment? What are you making? 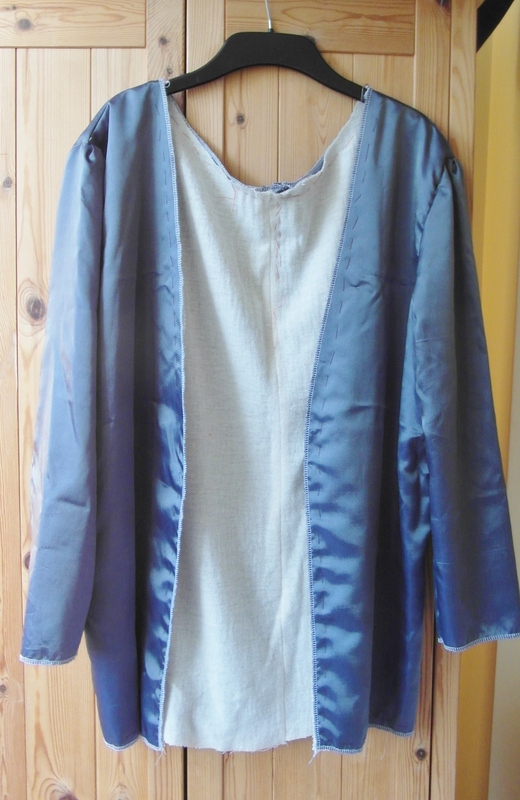 This entry was posted in sewing and tagged coat, Gerard, Republique du chiffon. Bookmark the permalink. Thanks. I’m glad I waited till I had some jackets under my belt before attempting this. Very excited to hear you are making v.2, can’t wait to see it. 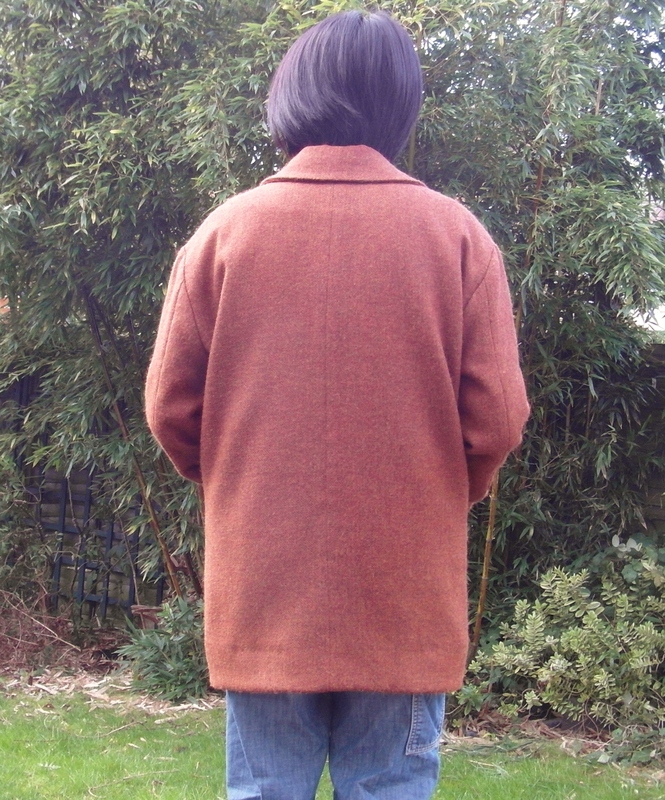 Yes the cascade pattern is awesome and I’m tempted as I do have a autumn coat shaped hole in my wardrobe. Cheers, it turned out how wanted it to.